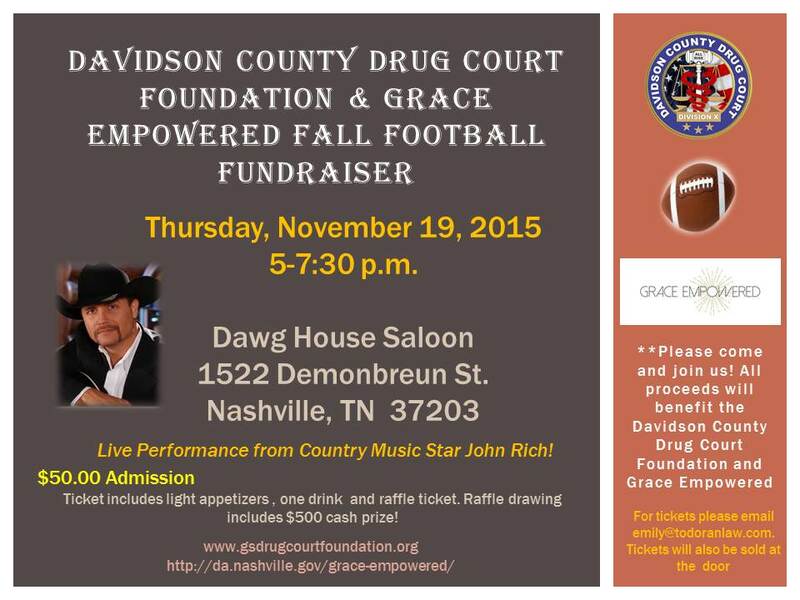 (Nashville, TN) Country music singer John Rich will lend a hand and a song to this year’s fall fundraiser to support the Davidson County Drug Court Foundation and the District Attorney’s Grace Empowered program. Grace Empowered is a court ordered prostitution intervention program operated by the DA’s Office. Participants can have their charges dismissed upon completion of classes that address drug addiction, trauma, and the health and safety implications of prostitution. 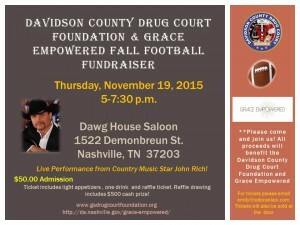 The Davidson County Drug Court Foundation is a non-profit organization that provides financial assistance for drug and alcohol treatment through Judge Casey Moreland’s General Sessions Treatment Court.